Dr. Manjari Ghosh is an Associate Professor of English at Durgapur Government College, Durgapur, West Bengal. She obtained her M.A. and M.Phil from the University of Calcutta, and joined the West Bengal Educational Service (WBES) in March 1992. During her stint in the WBES, she has served five other government colleges located in various areas of West Bengal. 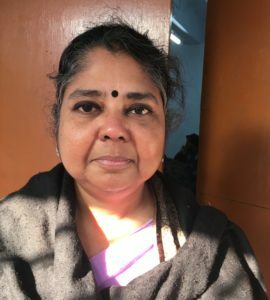 Her areas of research interest are Indian Writing in English, Partition Literature, Gender Studies, Children’s Literature, Translation Studies and Dalit Studies. She has extensively worked in the field of the major areas covered under the LEGH Movement. She has been appointed as the Coordinator of the West Bengal- South Region.